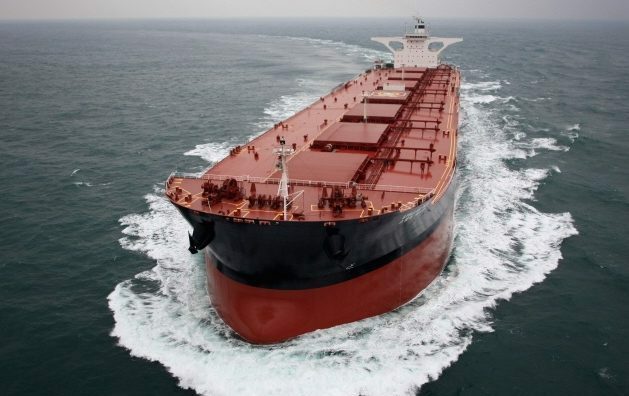 The bereaved families of the 22 dead crew from the sunken Stellar Daisy have hit out at Vale, the world’s largest iron ore miner, saying that the Brazilian company should have done more to prevent the tragedy. In an email seen by Splash and sent on behalf of the bereaved families to the CEO of Vale, Fabio Schwartsman, the miner’s committment to corporate social responsibility was questioned. “Are you (Vale S.A.) really serious about Social Responsibility and Sustainability of the company?,” the email questioned, going on to ask whether Vale knew of the decrepit state of the Stellar Daisy, an old converted VLOC, before its final fateful voyage in March last year. The Stellar Daisy, belonging to Polaris Shipping of South Korea, sank in the Atlantic carrying thousands of tons of Vale’s iron ore on March 30 2017. Just two of the 24 crew survived. Many deficiencies had earlier been found on the ship, which suffered cracks before sinking. A number of other Polaris ships were also found to have serious safety deficiencies in the wake of the Stellar Daisy sinking, many of which were contracted to Vale, Polaris’s most important client. The families of the missing crew have fought a high profile campaign to seek justice over the past 17 months, now taking it one step further by pursuing Vale. “Who do you think are responsible for the death of these 22 crews directly and indirectly?” the email sent to the Vale CEO questions. Vale has yet to respond to the email and questions sent by Splash. The Stellar Daisy was entered with Korean Class, an IACS rated society. She flew the Marshall Islands flag, a well run open register with Paris MOU ‘white list’ status. Thus, depite the fact that China’s PSC identified 6 non-detainable deficienies on board a month before her sinking, it would seem hard to argue that Shippers/Charterers were negligent in hiring this ship to transport their cargo. As for her cargo of iron ore fines, it is well known that this type of IMSBC Group A cargo is prone to liquefaction. Moreover, the vessel was a VLCC tanker conversion and her centre cargo holds were designed to carry liquid so it seems unlikely that liquefaction was the proximate cause of the loss. Instead, as documented, it seems much more likely that the Korea Class approved conversion design and supervised construction was faulty. It has also been suggested that high hull stresses due to improper loading at very high rates may have contirbuted to hull failure. In conclusion, the evidence suggests that Vale and their Charterer’s Liability/P&I insurers will not be overly concerned by threats from deceased seafarer families. These people settled for USD 50 – 60 K. under the inadequate terms of a Philippine POEA employment contract designed to protect shipowners and not seafarers. Who is to blame for this?